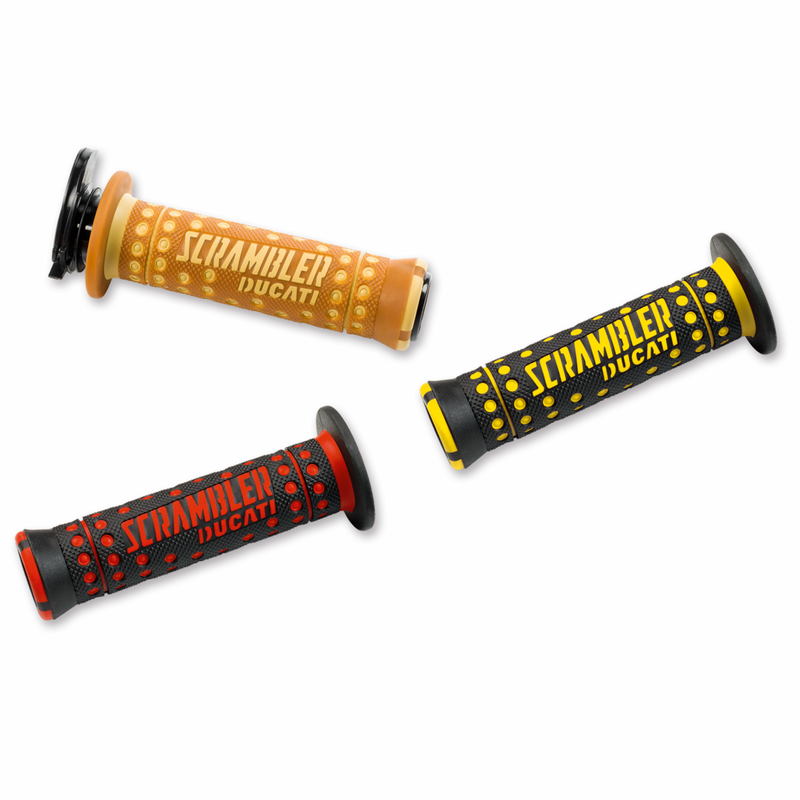 Pair of Flat Track handgrips. Inspired by the Flat Track world, the handgrips ensure perfect grip in every riding situation and increase the Scrambler's sporty style. 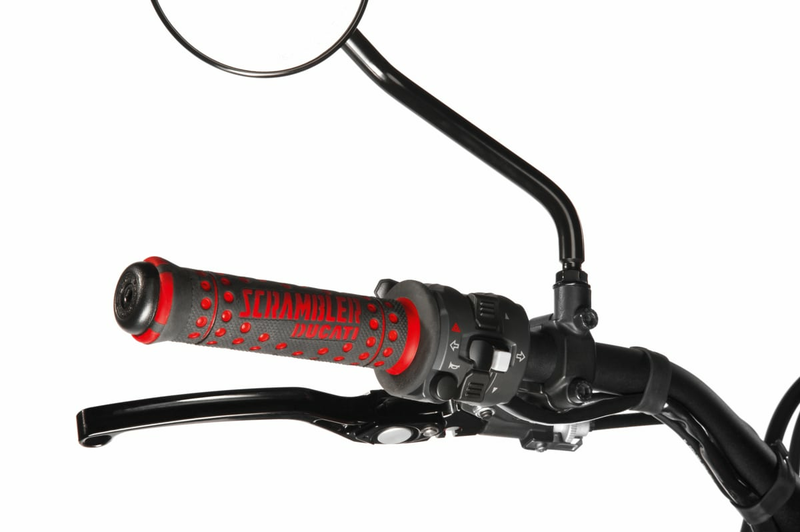 This handgrip provides a gradual response of the throttle. Mounting it on the models MY<16 Icon, Full Throttle, Classic, Urban Enduro, Sixty2, Italia Ind the throttle response becomes more gradual.